Even though it is still very warm, also known as too hot, I have been looking over the kitty condo situation in our house. As detailed in my previous posts, kitty condo deluxe, we have spent a considerable amount of effort making our cats as comfortable as possible. Being that our current four are outdoor denizens, the kitty condos get limited use in the summer months. They do use them when its rainy, but otherwise they prefer to lounge about on the porch floor or on our cars. Yet, all good summer fun will come to a close and it might be another cold winter, so I decided to check out their furniture to make sure it was ready for the upcoming season. I also decided to check out what pre-made cat furniture was to be found and wow - there is a lot on the market. 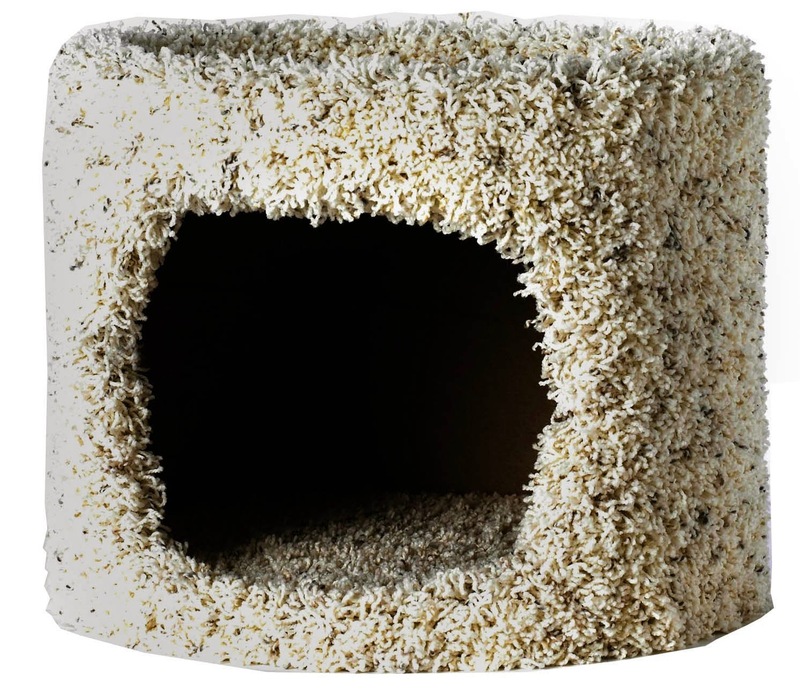 Starting with the basics was this Flexrake 1 Story Kitty Condo which is small enough to fit practically anywhere but has some great things going for it. From a cat perspective it has a very necessary 'den' where kitty can hide out while observing the world. The top will also make a nice nap area and for the humans, the carpet covering will blend with most home furnishings. However, if there are multiple cats, a single little kitty condo just won't do. This attractive Feline Lotus Tower would be suitable for a number of cats and in my opinion is one of the best looking of its type. These things usually are a carpet covered monstrosity, but this one has sleek styling while still serving the needs of the feline persuasion. Speaking of sleek, I ran across this attractive scratching post. 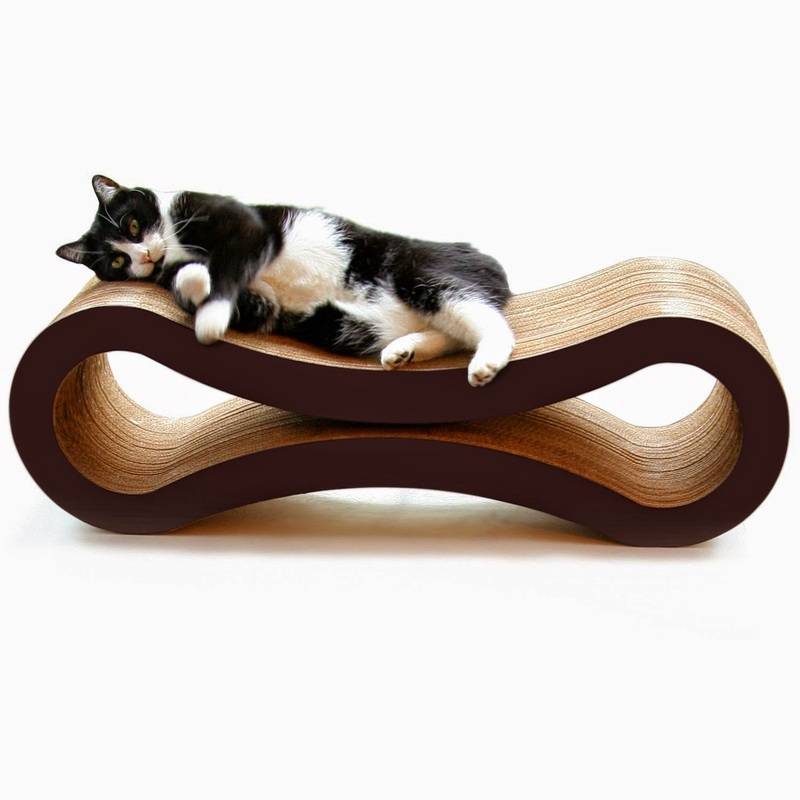 The Pet Fusion Cat Scratcher Lounge looks almost like an art object with its sleek lines. I can totally see kitty using this thing too. 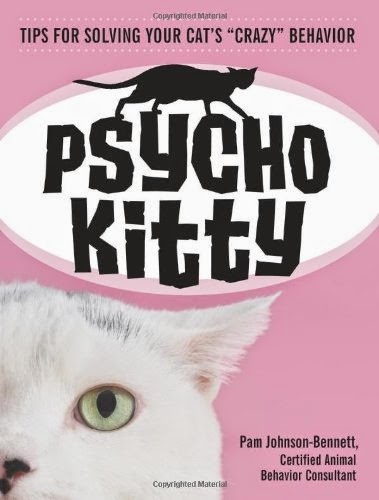 If you are like me, you are wondering just how long it will last, but according to the reviews it can withstand kitty assault for a long time. It can also be turned over to a fresh side when side one has had too much love. 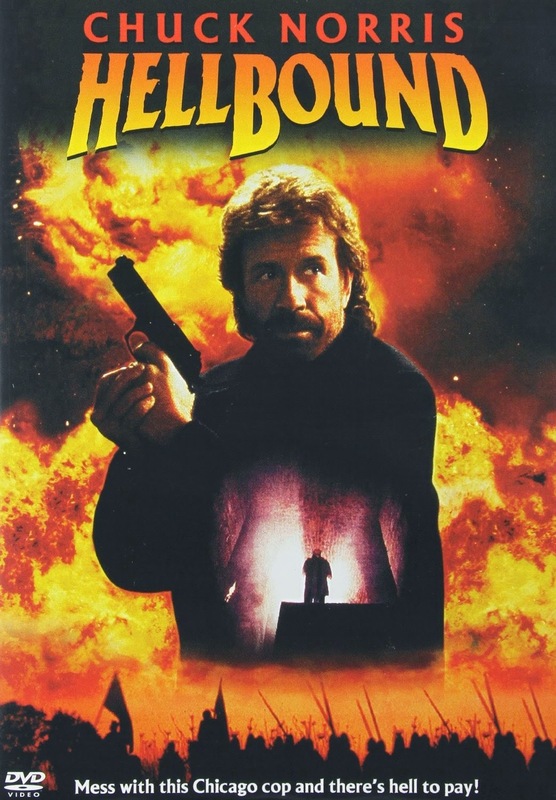 Its scratchy part is dense corrugated cardboard which means it will not last forever and one reviewer did reveal that after about a month it loses some of its sleek lines. Now if you are looking for something useful to both humans and cats then this ABC Cat Ottoman would suit both species. 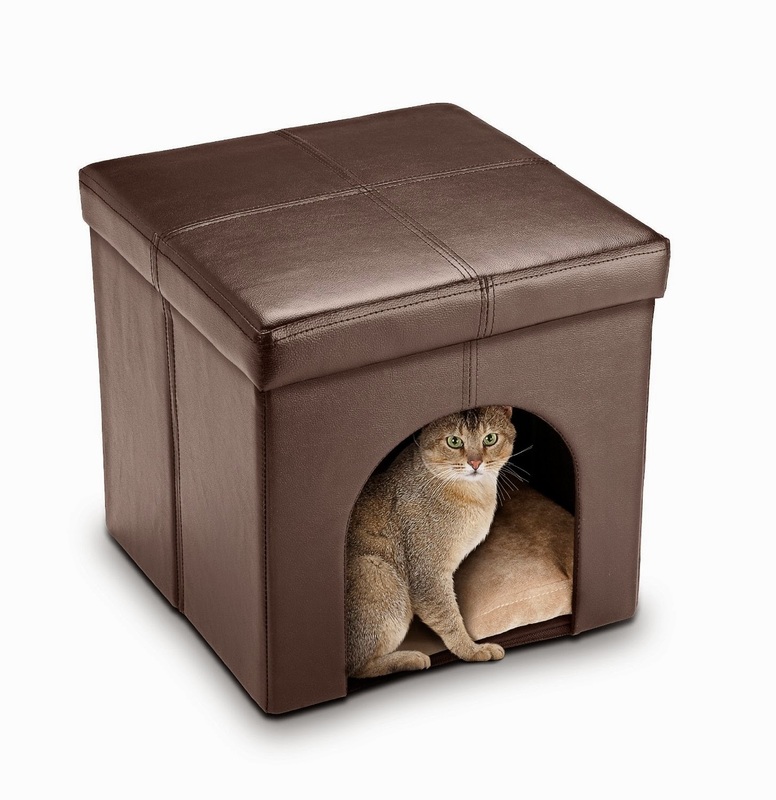 It has a nice bottom chamber so kitty can hang out while their human can rest their feet against the top part. 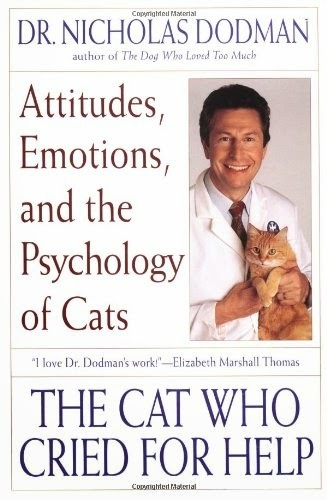 This will work well for those who like to diminish the 'catness' of their home while still proving kitty with all the creature comforts. As soon as the weather changes I will be sorting out my crews arrangements and getting things ready for the upcoming cold weather. The front door foursome will no doubt let me do all the heavy lifting. It seems that every year we come in to the hot summer months and along with the heat we find ourselves battling fleas. 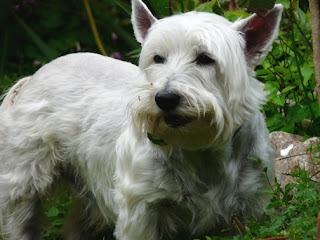 It is a bother to the cats and annoying to the Border Collie but it is unrelenting torment to our Westie. He is like sugar to them. I don't know if it is his white coat or whether he just emits a 'come bite me' kind of pheromone but he quickly becomes the scratchy dog in no time. Of course as these things go he also has flea allergies. It only takes one bite to set him off, but usually it is far more than one bite. Because of his age (now 12 years) we are very careful in how we treat him. We make our own dog food for our crew because the Westie has such difficult skin problems. When he was younger we were challenged with keeping him from developing infections from all his skin problems but these days we have it under control most of the time with how we feed him, how we bathe him (every 3 to 4 days minimum) and how we deal with outbreaks. I know that some people use various oral treatments for both fleas and heartworms. We have always given our canine duo their heartworm meds but stayed clear of the flea stuff because of fears that it would be too much for the little guy's kidneys. Last year, because of a bad flea outbreak I finally broke down and tried an oral flea/heartworm remedy. The first month it seemed to work like a charm with no negative symptoms and blessedly no fleas. The second month, within a few days of giving the Westie his dose he lost bladder control in the house. I was so angry at myself for giving in when I should have stayed with my gut instinct. 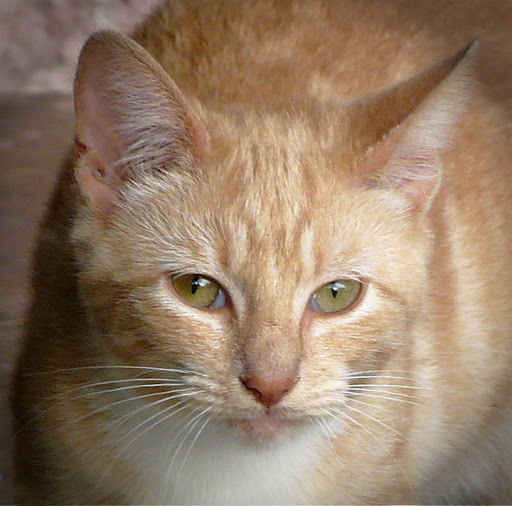 We have never again given him that oral flea med and he has not had further kidney symptoms. Vacuum the floors and apply Boric Acid. We have wooden floors but have found that sprinkling boric acid lightly on the floors and then using a broom to brush it around will allow the powder to sink into all those small spaces between the wood slats. Boric acid works to dehydrate the flea larvae and kill them at that stage. It is not effective on the adults, so it is best to vacuum up any and then make sure you throw away the vacuum bag. Treat the yard. If we are not in a flea infestation we will use Insect Growth Regulator alone. This is amazing stuff that acts as a hormone that stops the larval flea from developing into an adult. When adults come in contact with it they cannot reproduce. Some are formulated for indoor use only but Archer makes one that is not photosensitive so it can be used outdoors. 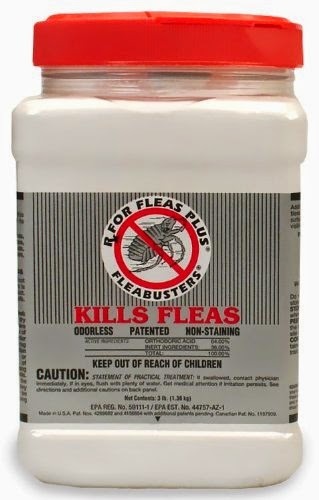 If you have fleas you will want to also use a knock-down agent to get rid of the adults. We use pyrethrins since we want a natural pesticide and one that will not have any residual effect. We apply the pyrethrin in the evening and then keep the dogs inside until morning. 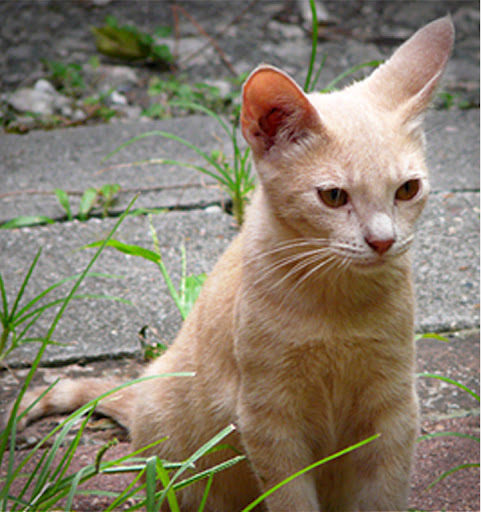 You will probably have to treat the yard more than once in order to break a flea cycle. After a few applications every 2 to 4 weeks things should be fine for a couple of months. Bathe the dogs. 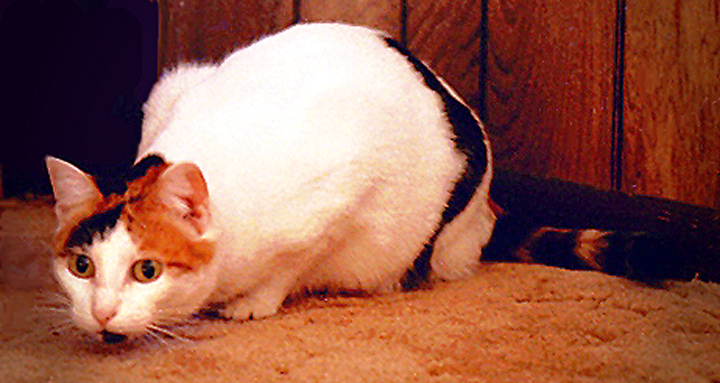 We do not use flea killer shampoo because it is unnecessary. Any soap lathered into their coat and left for about five minutes will drown any fleas on your dog. 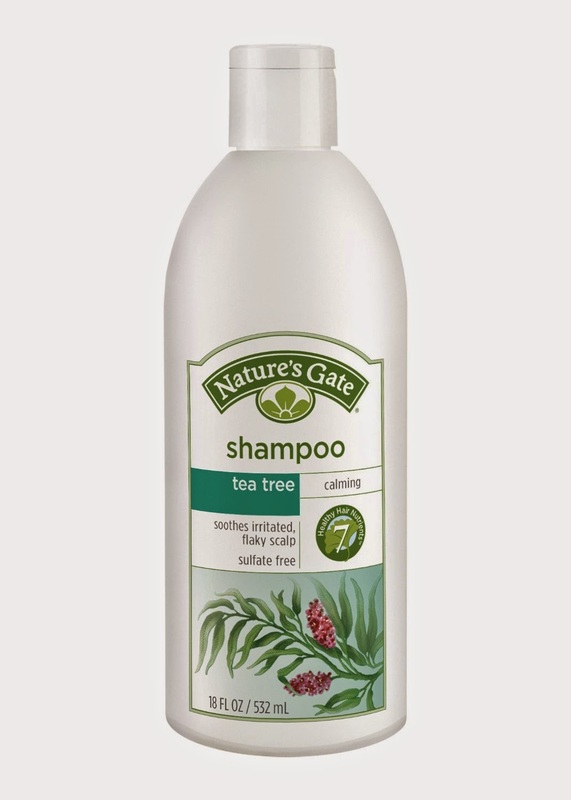 We do prefer to use a human grade shampoo that has Tea Tree oil in it as this is a natural anti-fungal and antibacterial substance that really helps with the Westies skin issues. After bathing we make sure to check their coat to remove any lingering fleas just in case they revive. Apply Frontline Plus. 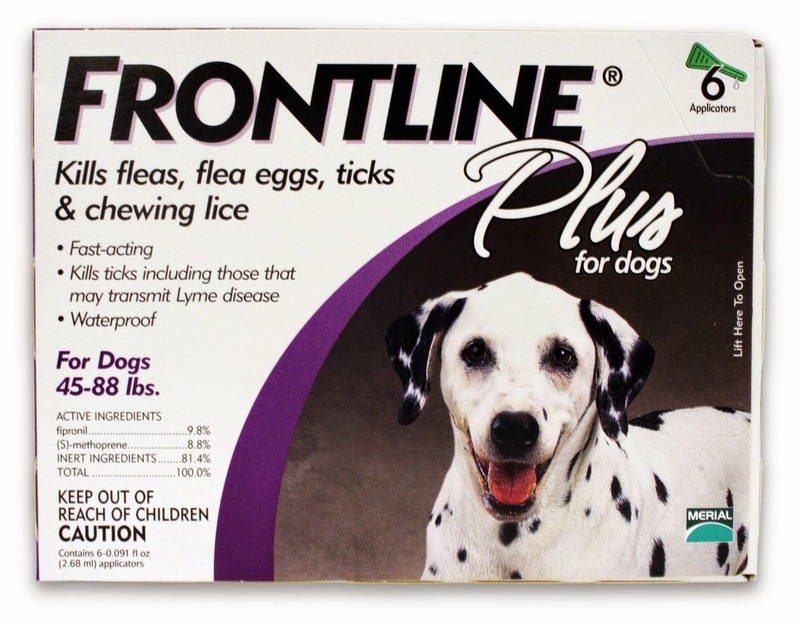 During a flea outbreak, three days after we bathe the dogs (or three days before) we apply Frontline Plus to our dogs. Although I am reluctant to use any agent that remains on the dogs, we have found this one to be safe. It works by entering the dogs oil glands and hair follicles and constantly re-applies itself to the dogs skin. When a flea contact this it kills them in a day or two but also stops them from reproducing (that is what the plus means - it contains insect growth regulator). 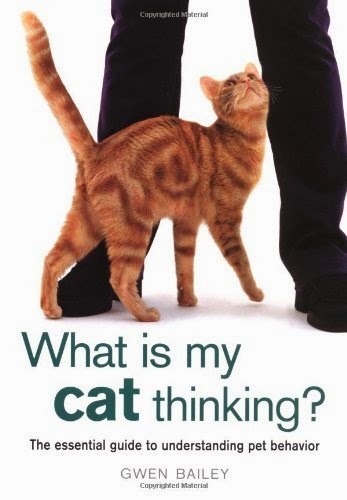 We also make sure to apply this to our cats since they come into the house and go into the yard as well. Although this sounds like a lot of work, each step is simple and easy to do. You will probably find that doing these thing once will not be enough to stop a flea infestation completely and repeated efforts will be necessary at first. If it happens to be very rainy you must retreat the yard or else the cycle will start up again. You may wonder how it could start up if you have your dogs and cats treated. The fleas will come back from all the creatures that visit our yards when we are not looking. 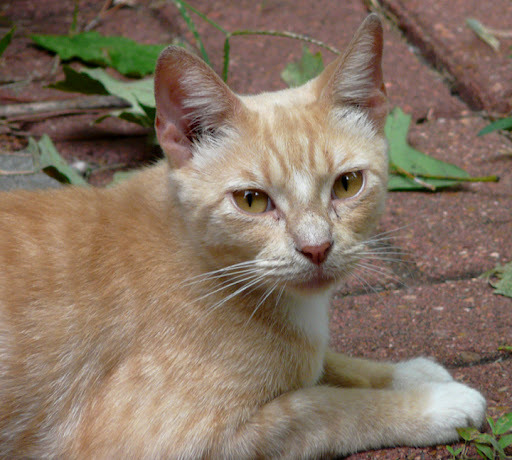 There are squirrels, opossums, mice and rats as well as wandering cats that are part of any urban landscape, even if we never see them - believe me they are there and bringing fleas with them. What flea remedies do you use?